The fact it’s been three years since I did my A-Levels, and five since I started box dying my hair Live Colour XXL Platinum Blonde (oh and doing my GCSEs but the hair is more important) scares me quite a bit. I swear it was only yesterday I was putting on my Maybelline Foundation and Powder, thickly coating my eyes with Gel Liner, and packing my hair with more hairspray than humanly possible – sometimes the face too, major no. 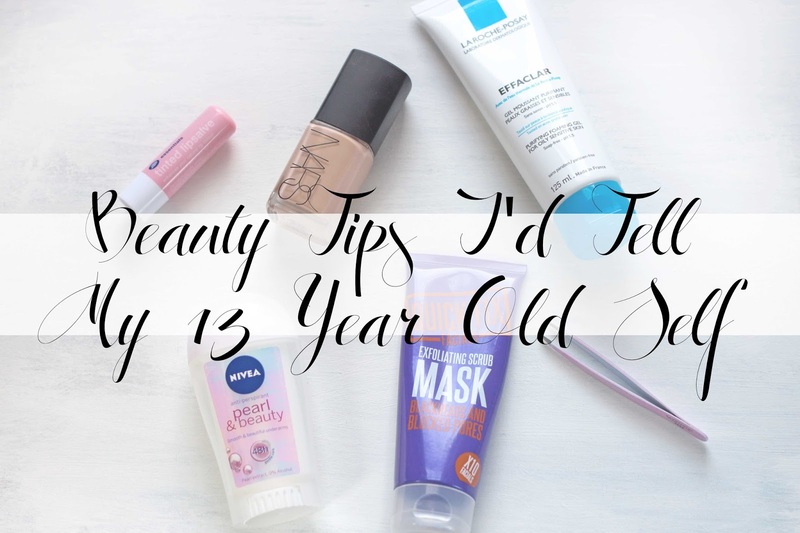 It’s that major no, and watching my younger family members and friends reaching that age that made me think about all the things I wish I’d known about beauty and skincare when I was a teenager. Maybe that advice was given, and I just thought ‘oh my god Mum, stop, everyone wears orange foundation and coats their lips in it…’. I digress, but I think now that with beauty blogs and vloggers being more influential to younger generations, there’s been a significant shift in investing in your skincare and beauty instead of loading up on all the crap products that do more harm than good – and lead to some awful TimeHop photos appearing on your feed, spare me Facebook! 1. Wash Your Face Morning and Night – If you’re going to do anything right when you’re 13, it has to be to washing your face. Even if to start it’s just a Tea Tree Face Wipe to get the grime off, it will help keep your skin fresh and clean, preventing those hormonal spots and blackheads from being totally unmanageable. Want to go into a Cleanse, Tone, Moisturise situation? Go for it! Ask your mum what kind of skin she has as you’ll probably be similar, and look for bloggers with similar skin types who can recommend the right ranges for your price range. 2. Leave Your Skin and Spots Alone – This was my big thing as a teenager, and although luckily I haven’t been left with scarring I do have some redness on my cheeks. When blackheads and spots start forming, do not touch them as you’ll spread the bacteria and make them worse. For more in depth spot fighting action, Caroline Hirons has this excellent cheat sheet which taught me a lot about dealing with spots, but the key is to exfoliate to get rid of dead skin cells, use a blemish fighting product such as La Roche Posay Effaclar or Tea Tree dotted on the spot, and keep it as clean as possible – a no make-up day if you must! 3. 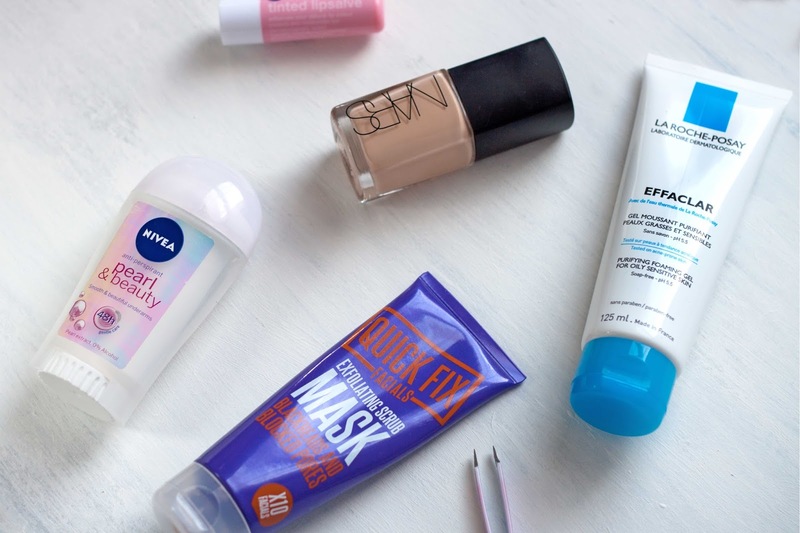 Do A Face Mask Once A Week – and not a cheap one full of nasties! 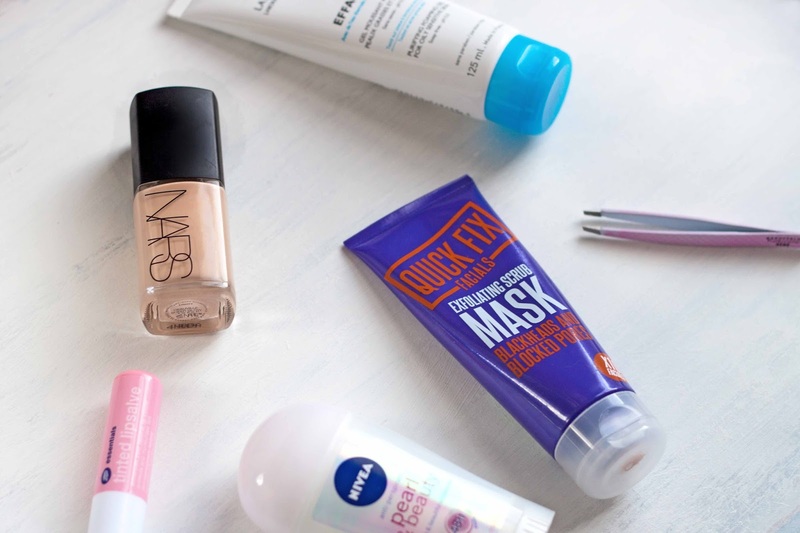 Quick Fix have some really affordable masks that work, and range from exfoliation to unclogg blackheads, calming clay masks to fight redness, and a charcoal mask to bring out the gunk. Great for teens starting out in the world of skincare, before making the move the higher quality brands such as Elemis or Origins. 4. Get Colour Matched – One thing I wish I’d learnt and had earlier on was better foundation, and also the amazing range of shades and formulas us lucky ladies get to chose from today! If there are three things you shouldn’t skimp on, it’s good food, good skincare, and a good base; make sure it suits your skin type and gives you the finish and longevity you need for the time you’re wearing it. Nowadays, drugstore brands have a wider range of shades so it’s easier to find one to suit (or cheap enough to buy two and blend) so there’s no stopping you from looking flawless and your natural skin tone! 5. Go Easy On The Eyebrows – Ask any woman and they’ll say over-plucking or brow maintenance would be something they wish they could start again. From shaving between your brows (no) to hacking away at them with scissors (bigger no), make sure you tame them instead of maim them – consider getting them threaded if you have thick, big brows, or if you have thinner, manageable brows, just pluck the stray ones and leave them be – you’ll thank yourself when images surface of you looking normal and not constantly surprised. 6. Don’t Cut Your Hair Too Short – This is more of a personal one, but I do wish I hadn’t spent early years of secondary school with a chin grazing bob that I constantly got thinned out, and had instead let it grow past it’s frizzy stage into longer locks I could plait, tie up and make interesting. I also wish I hadn’t used XXL Box Colours on my hair which resulted in me then cutting my (finally) long hair into an uber short bob again so it wouldn’t look as matted. Whilst I love my Alexa style lob right now, I can’t wait for all the bleached hair to grow out so I can look after it properly – and finally have good condition mermaid hair! 7. Be Hygienic In General – There is a tendency when you’re younger to just not wash and in hindsight it isn’t great. Wearing the same top every day, or keeping your thermal on all day after PE, or not washing yourself regularly all add up to clogged pores, greasy hair, and you can be left feeling (and smelling) a bit ‘hmmm’. Jump straight in the shower after school, shed all evidence of those 7 hours studying, get clean and in your jammies, and do your homework all fresh and clear minded. You will feel better, and your body will be free from the dirt and grime that can cause you hassle later on. Don’t fear the soap, make the soap fear you because you’ll be washing with it daily! 8. Embrace and Care For The Skin You Have – As cliche as it sounds, you only get one body and it miraculously generates new skin, cells and blood daily, so take some time each day to appreciate what you have and show it the care it deserves; keep it hydrated, nourish it with good food and vitamins, let it breathe and protect it from burning, dress it up with lipstick and clean it well with products that suit you – happy skin is a happy mind and a happy positive attitude! 13 year old Lauren, you had some poor hair choices, and the frizz you were given wasn’t fab but hey you’ve got lush wavy hair now because of it. You probably should have learnt that spots and bumps aren’t the devil, and that black eyeliner really didn’t suit you (well the way you applied it anyway), but it’s okay – you’ve learnt some valuable lessons and you’ve tried almost everything now to know what works for you. Hopefully a failed fringe and black hair will stop your sister from doing the same, but as long as you take care of your skin properly from now on, I think we’ll be doing okay. What things do you wish you’d known at 13? Did you have any embarassing beauty mistakes? What is the most important thing you’ve learnt about beauty?